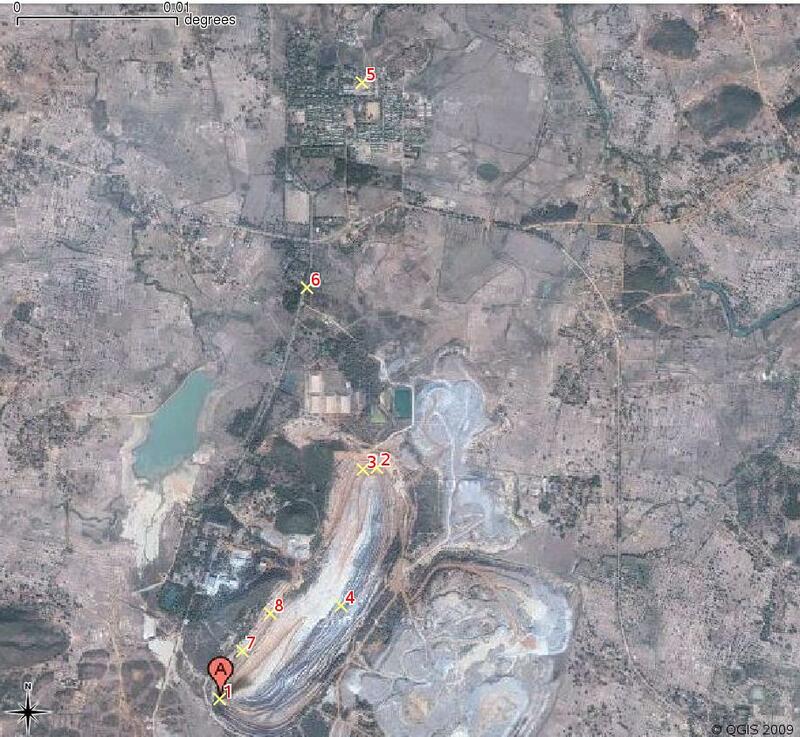 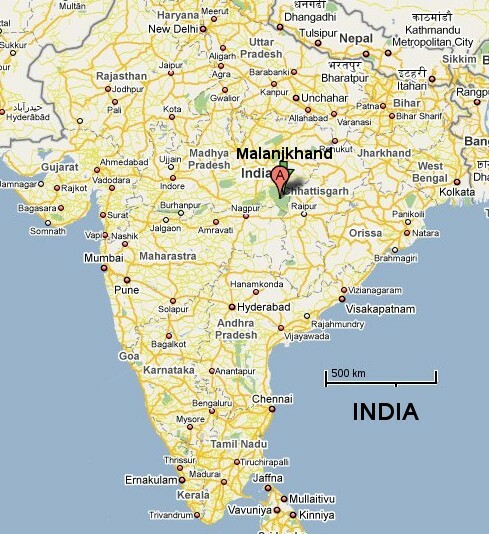 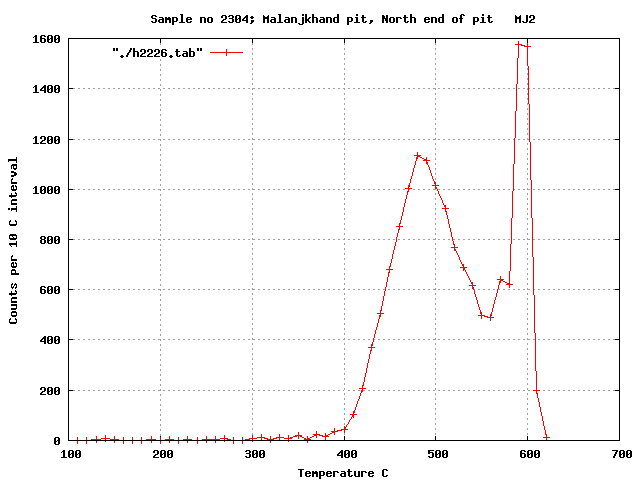 58 samples were collected from the Malanjkhand Cu deposit and nearby background areas. 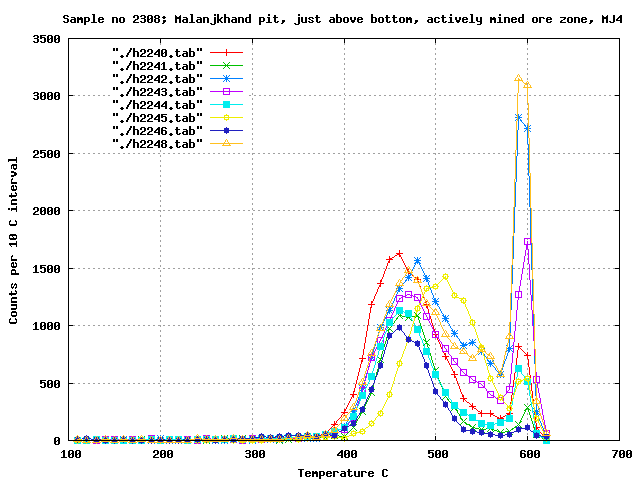 None of these samples show a low temperature decrepitation peak near 300 C and it is concluded that this fluid system had very low or no CO2 and was comprised of just aqueous fluids. 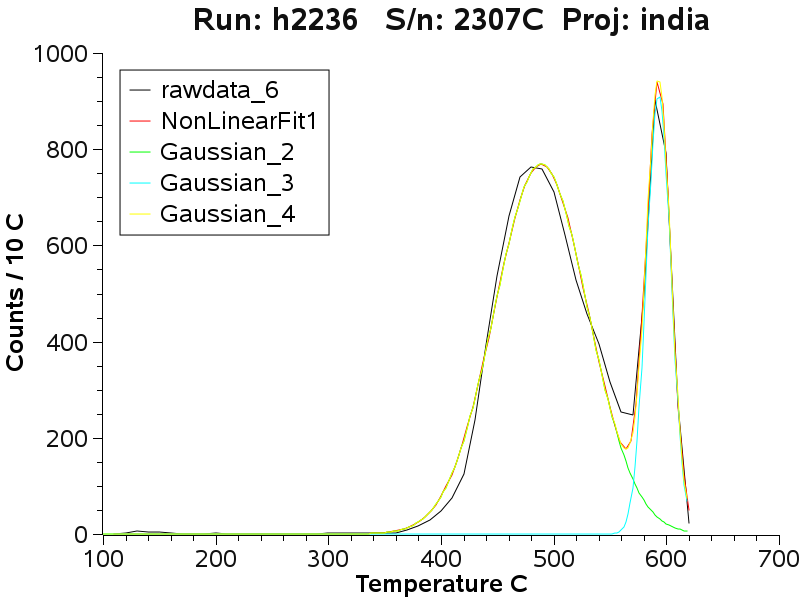 Each decrepitation result was mathematically reduced to its component gaussian distributions to provide a precise way of measuring the peak temperature of each result. 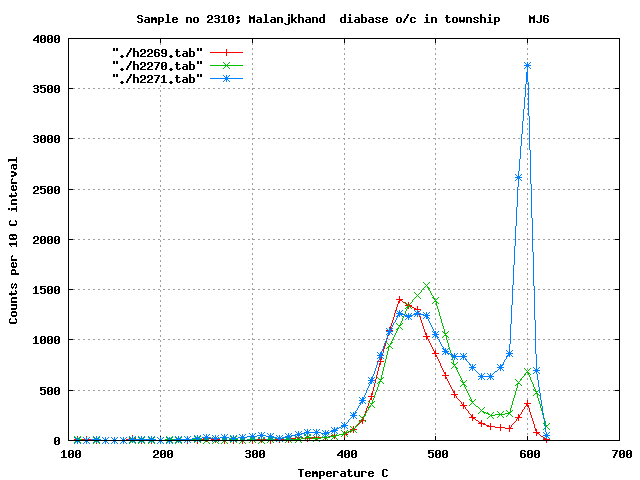 For most samples, skewed gaussian fits provided the best fit to the observed data curves. 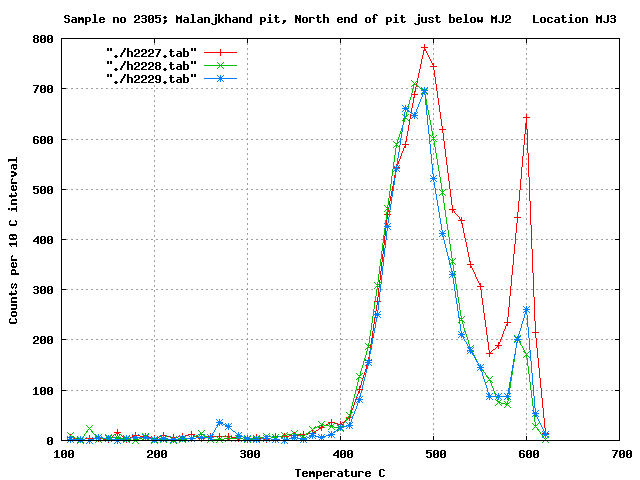 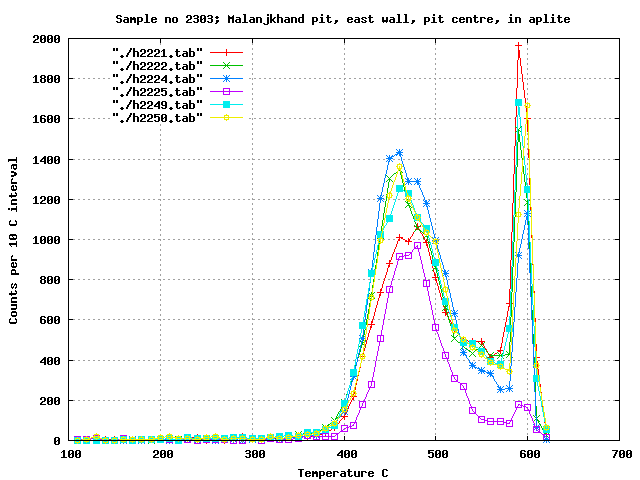 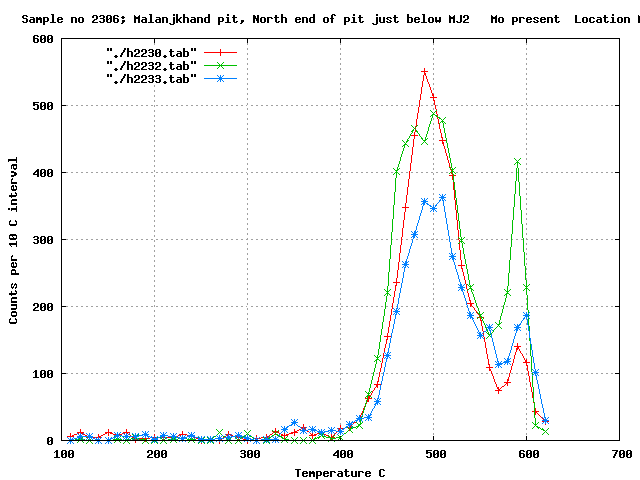 The samples were compared using the fitted temperature of the decrepitation peak in the temperature interval from 450 C to 510 C. This shows there are consistent temperature differences across the pit and between mineralised and barren samples within and near the pit. 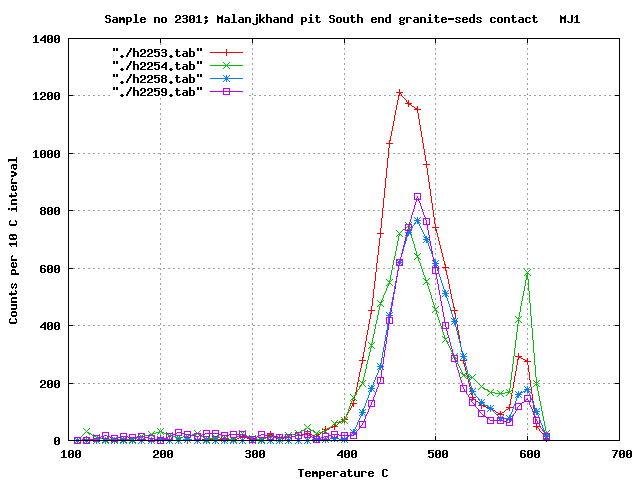 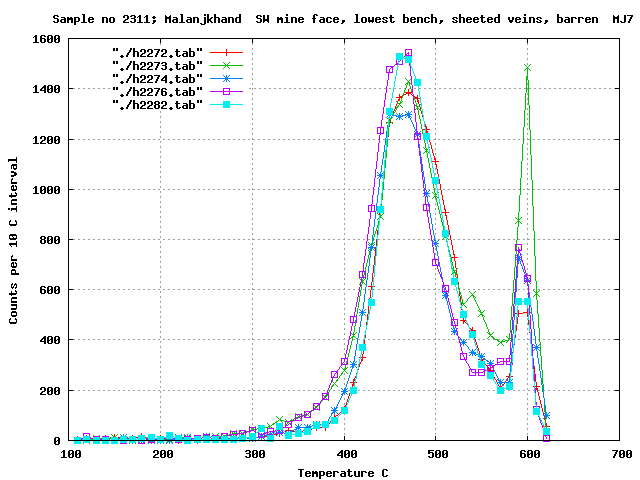 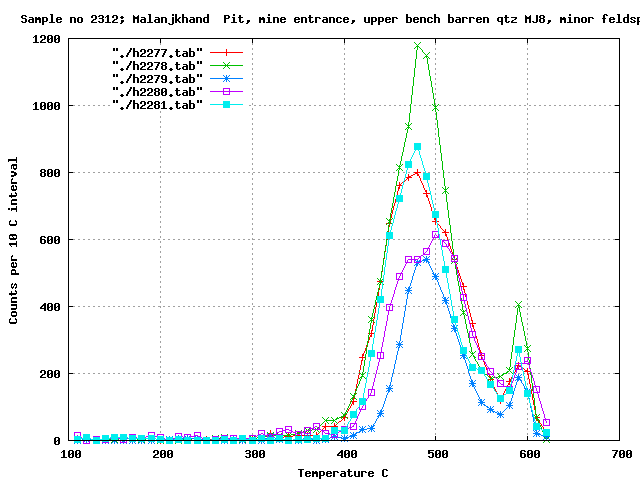 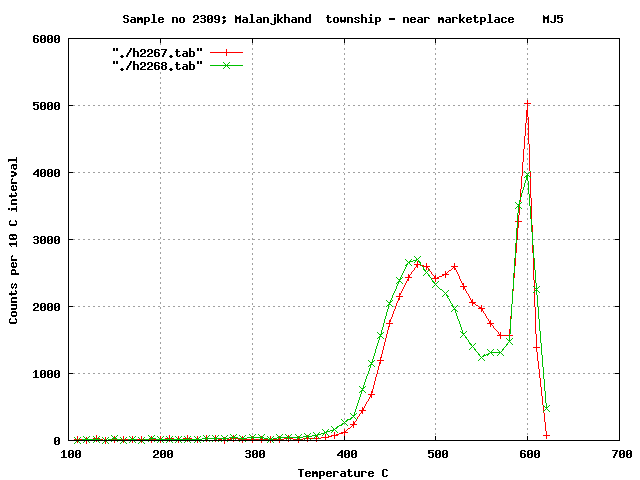 These temperatures are plotted against sample location and mineralisation type below. 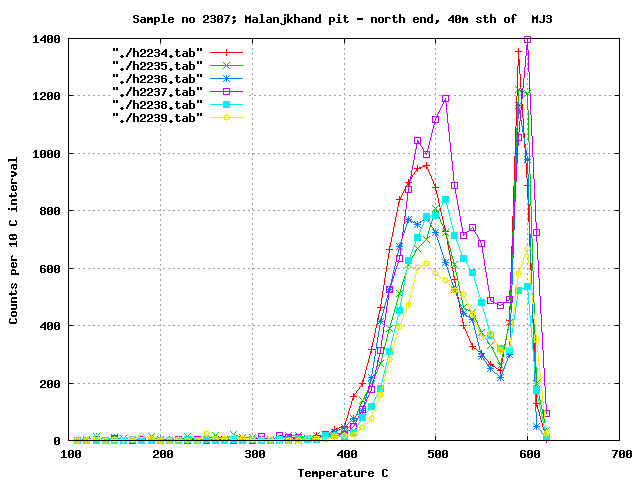 Baro-acoustic decrepitation provides a means of measuring subtle temperature differences within the mineralising fluid system and could be useful in evaluating nearby mineralisation potential. The following 2 pair of plots show the fitting of mathematical curves to the raw data. In most cases, the best fit is provided by using a skewed gaussian distribution. 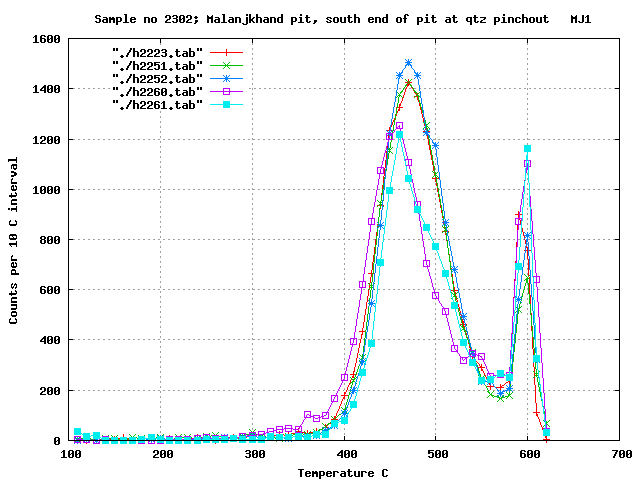 Once fitted, the temperature of the best fit peaks can be precisely measured and used for inter-sample comparison.